So apparently my 3 year-old has a new rating system for whether she likes something and this banana bread recipe got an "its 1, 2, 3, 4, 5 yummies mommy". I'd say my children are either extremely sweet deprived or its pretty good. They pretty much ate the whole loaf in one afternoon/evening. Keep in mind these are PICKY eaters so that's a big deal. This dark chocolate banana bread disappeared pretty darn quick - good thing I didn't wait to take a picture! I was quite happy with it for a low-sugar, wheat-free banana bread. 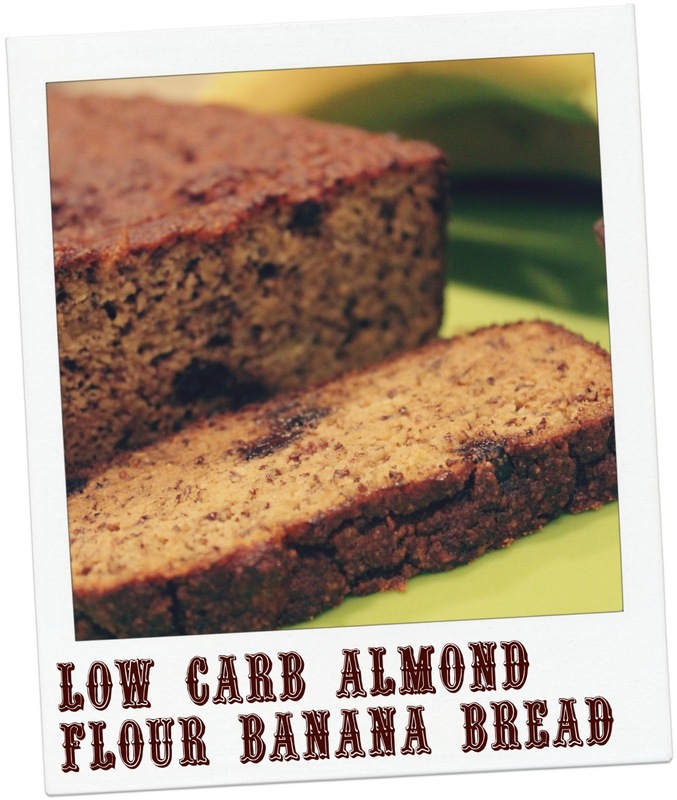 I will keep experimenting as banana bread is one of our favorites around here and it is so handy to have around for snacks. Its relatively low sugar and has some protein from the almonds so I don't have to feel guilty about feeding it to the kids. If you wanted to make it even cleaner and lower carb you could definitely cut-back on the agave and chocolate chips. I was making this for the kids so definitely wasn't as worried about sugar. REVISED - I ACTUALLY TRIED THIS RECIPE AGAIN AND DID THE EXACT SAME THING BUT ADDED 1/2 CUP OF GROUND FLAX (GOLDEN OR BROWN IS FINE) AND IT WAS EVEN MORE FABULOUS "SUPERSTAR, CAN'T BELIEVE ITS NOT WHEAT" BANANA BREAD. Preheat oven to 350 degrees. Grease a loaf pan (I used butter in a glass Pyrex loaf pan and it didn't stick at all). Combine almond flour, cinnamon and baking soda. In a separate bowl, beat the eggs and then add the water, vanilla, agave and mashed banana's - mixing thoroughly. Add the wet ingredients to the dry ingredients until just combined. Fold in chocolate chips. Bake for 50 minutes or until knife comes out clean in the centre. Let cool before slicing. Watch it disappear and have to come up with something else for snacks tomorrow.